Attorneys in the Lakes Region of NH serving Laconia, Rochester, Alton, Concord in Divorce Law matters. 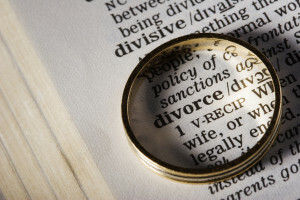 Our legal staff understands the emotional, financial, and practical ramifications of divorce. We know it can be a very difficult decision and we understand how important it is for clients to understand their options and their rights. The divorce attorneys at Lucas Law PLLC have years of experience representing clients in divorce proceedings and other family law matters. Our goal is to provide swift, compassionate resolutions that work best for your changing family. Every family is different. Although New Hampshire family law remains consistent, how it affects a family varies from case to case. Our experienced legal team provides support and guidance for each client, no matter his or her circumstances. We have the experience it takes to handle even the most unique family situations and we aim to find the best solutions to problems as they arise. In addition to divorce proceedings, we also offer legal support and guidance concerning issues that pertain to your changing family. Divorce triggers a variety of concerns for individuals, such as marital property arrangements, alimony payments, and child custody and support issues. When necessary, our firm has access to professional resources, including special investigators and forensic accountants to provide information, guidance, and expert testimony. We understand how important it is for you to protect your children during and following your divorce proceedings. As a parent, you want to put their needs and well-being first. Our firm is dedicated to helping clients achieve the best custody, visitation and support arrangements for their children. We are also able to help individuals post-divorce concerning child support recalculation and any other modifications to their original arrangement. If you are considering divorce or divorce proceedings have begun for you and your spouse, we can help you. Lucas Law provides experienced, supportive legal services to those throughout the Lakes Region of New Hampshire. Contact us today at 603-581-7102 for more information.